Here is a Ventura V Matic. Ventura which has been around since 1987. One of their designs called “The Watch” was even given a place in the permanent design collection of the Museum of Modern Art in New York. This 40mm. Stainless steel case with knurled crown and bezel edges is a piece of art. 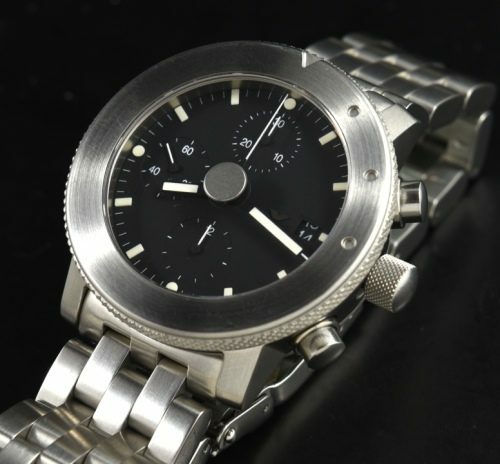 The modified Valjoux 7750 chronograph movement was cleaned and is accurate. The original and expensive (optional) steel bracelet is included. You are going to love this amazing watch! $2750.